UPDATED REVIEW - July 25, 2017 - Recommended - I recommend the Casio PX350 ($699US internet discount price) & Casio PX150 ($499US internet discount price) digital portable pianos. After 30 years of producing digital pianos & keyboards, the Casio piano company continues to improve their digital piano models using the latest technology and keeping prices low, which is what they are known for. The PX350 (upper left pic) has a interactive LCD display screen, 250 instrument sounds, 17 track General MIDI playback & record functions (no one comes close to that), 128 notes of polyphony, 360 drum patterns and auto chord styles, and many other useful features including midi in/out & stereo 1/4" audio outputs & inputs. It weighs just 25lbs which is very light but it's still a solid instrument and easy to move if necessary. Both models are the lightest weight lowest priced portable digital pianos under $1000 and both come with optional stand, pedals, carry bags, etc. The PX150 has been discontinued for a couple years now and the PX160 has taken its place. 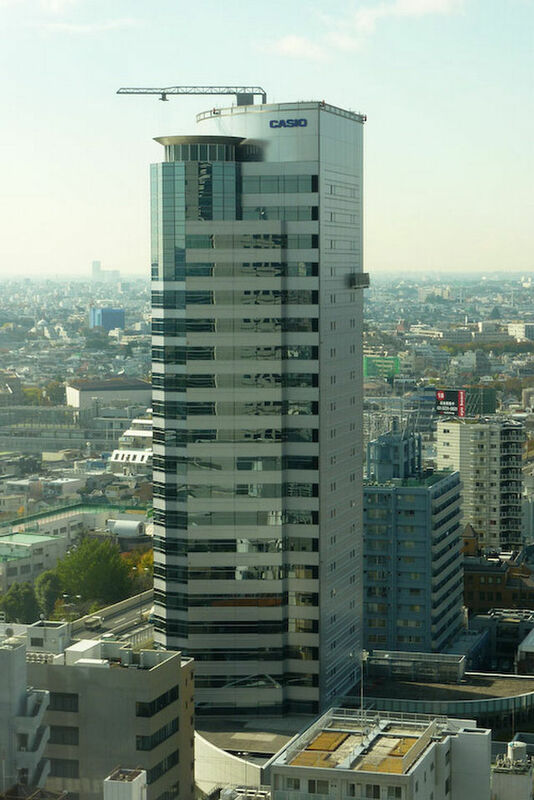 Continued review for PX150 & PX350: The Casio company has its worldwide headquarters in Tokyo, Japan (left pic) and has been producing digital pianos for over 30 years. They also produce keyboards, pro synthesizers, as well as being famous for calculators, advanced digital cameras, sports & consumer watches, advanced digital technology for communication devices, and some very impressive new digital computer technology. Casio produces their own computer chips and proprietary micro technology and is able to do it at a fraction of the cost of some of it's biggest competitors. That is why Casio tends to have lower prices. Some people equate lower prices with lower quality but in my opinion these new Casio digital pianos are quite impressive. Beyond that, Casio has a new 3-year parts & labor warranty which shows they are serious about giving consumers product protection and have confidence in their new pianos. 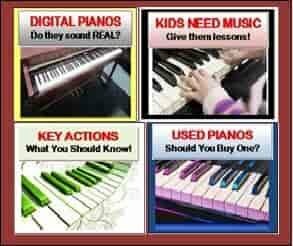 Most warranties on digital pianos under $1000 have no more more than 1 year labor or maybe 2 at the most, so 3 years is outstanding in my opinion. The noticeable upgrades on the PX350 are a much improved acoustic piano reproduction over previous models with way more realism and better overall sound and pedaling decay times, improved & upgraded key action, ivory & ebony feel keys (very nice & no one else has that in this price range), USB flash drive device input (in place of SD card), digital audio wav file recording of your performance to USB flashdrive (no one else has this in this price range and it's very cool), and more. Take a look at some videos of the PX350 being played live at the bottom of this review. Notice that one of the videos has a famous Jazz & blues musician playing the PX350 in his hotel room while on tour. His name is Joe Sample and according to Casio (I can only take their word for it), Joe thinks this is one of the best portable digital pianos in a low price range he has played and has since ordered two of them. I personally wouldn't have believed a musician of his stature would even want to play a low priced digital piano from Casio let alone own one, but seeing is believing. 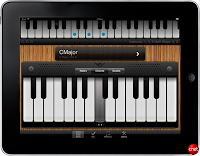 I have personally played this piano from top to bottom and not only has the piano sound and key action been substantially upgraded over the previous model as I mentioned earlier, so have some of the additional instrument sounds, drum rhythms, arrangement styles, and other features including digital storage to USB flashdrive capabilities. The PX350 control panel (left pics) is similar to the older discontinued PX330 but with a modified button layout which is more intuitive to use and sleeker looking. An optional Casio furniture style stand & 3-pedal unit especially made for the new PX portable pianos is available for an extra cost. The Casio factory warranty on this model is 3 years parts & 3 years labor which is more than sufficient in the world of digital pianos and actually quite long compared to other brands in this price range. The closest competitor to the Casio PX350 that I recommend is the current model Casio CGP700 and Yamaha DGX660 both at $799US including stand. Although both the Casio & Yamaha are fun to play and work good, the new Casio seems to be a superior instrument in many ways especially with regard to its more realistic graded hammer key action and 3 sensor key action. Yamaha uses their basic standard GHS action in the DGX660 as compared to the more realistic (in my opinion) Casio piano hammer key action. Just for the record, sound and key action is subjective and not an exact science. While there are many people who will think the Casio is fantastic for the price in every way, others will be more critical and want to hear even better sounding instruments, chord arrangement styles, and drum patterns which are the other parts of the PX350. But for the money I believe most people will think the PX350 is the best "portable package" in the marketplace at this moment for all that it does and has at a selling price under $800. When you attach the optional furniture stand and 3 pedal unit to the piano it looks like a smaller compact piano and behaves more like a real upright piano. The PX150 (left & upper left pics) replaces the much older PX130 and is upgraded in some big ways, most notably the piano tone & piano key action which is identical to the new PX350. The PX350 has four speakers and 16 watts of power and the PX150 has 2 speakers and 16 watts of audio power which is generally sufficient for portable digital pianos. The PX350 however does sound a bit better than the PX150 because of its two extra speakers. The cabinet on the PX150 as well as the PX350 has been slightly redesigned in styling & colors (both available in satin black & also satin white - above left pic) and I like those improvements. The PX150 has 18 instrument tones as opposed to 16 in the former PX130 and although that's only two more sounds than the PX130, they are the most important sounds that people ask for...which is the acoustic piano sound. In all, the PX150 has 5 acoustic piano reproductions incl classical concert piano and pop piano among others. The PX150 also has a core compliant USB/MIDI plug & play connection to iPad or laptop computer which is a very useful feature especially with so many people wanting to connect to iPad/tablet or laptop for educational and/or music composition software & apps. Also very nice are the new ivory & ebony feel key tops which gives the fingers a better playing surface on which to play on which is very cool. It even makes the keys look somewhat classier instead of just having white plastic keytops. The PX150 also has key transpose, duet/4-hand playing mode, 2 headphone jacks, a 2-track MIDI song recorder, and other features. An optional furniture style stand and 3-pedal unit is also available for this model. The nearest price and piano quality competitor to the Casio PX150 is the newer replacement Casio PX160 or Yamaha P115 for $100 more ($599US internet discount price). The P115 is a huge upgrade over the older Yamaha P105 (I have played the P115 extensively), but even with the big upgrades in features including much improved piano sound, as far as reproducing realistic acoustic piano key action which is the #1 thing to be concerned about in any piano, it's my opinion the Casio PX150 (now the PX160) is noticeably better. This is partly because it has a 3-sensor weighted hammer key action technology over the Yamaha for faster repetitive action recognition and more authentic weighted movement. Also, the Casio offers five different acoustic piano tones (which is a lot in this price range) whereas the Yamaha offers just two acoustic piano selections. The P115 is still using its standard GHS key action (even in this new model) which they have had out for years. While it is adequate in its price range and overall good to play, the GHS action is somewhat light (and a bit noisy-plasticky) in key movement and response as compared with Yamaha's better GH action in their higher priced digital pianos. But even the Yamaha GH key action in my opinion does not simulate playing an acoustic piano as well as the new Casio 3-sensor (Casio calls it tri-sensor) graded hammer key action. The newer & updated Yamaha P115 has a few cool features over the Casio PX150/PX160 that I really like (basic drum rhythms & piano chord styles) but I don't think I would sacrifice the higher quality and more realistic piano sound and key action on the Casio's for a few of the "cool" digital features the Yamaha has. 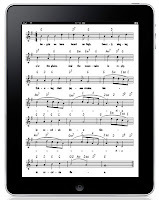 I can always get some exciting musical & educational features off my iPad or laptop connected to the Casio PX150/160 if I needed or wanted to. I will say that the internal speaker system of the Yamaha P115 does sound a bit fuller & richer than the Casio PX150/160 so that is a plus for Yamaha since having fuller internal sound is a good thing. However on the newer Casio PX160, the internal speaker system has been noticeably upgraded so it is on the same level as the Yamaha now. When you listen through headphones, the Casio PX150 does sound noticeably more realistic in piano sound to me, and you can connect to external powered speakers through the stereo headphone jack on the PX150 if you wish, although that connection will cut out the internal speakers from playing, which is true with some other digital pianos. The new PX160 has upgraded independent audio output jacks which allows connection to external sound sources without going through the headphone jack as on the PX150. As I mentioned before, the Casio PX350 has four internal speakers as opposed to two in the older PX150 so the PX350 sounds better than the PX150 and it has 2 independent audio output & input jacks as well, which is useful for connectivity with external devices such as an iPad, computer, or external sound system. Is it worth buying the PX150 & PX350? It really depends on your budget and your musical goals? However I believe there are compelling reasons to purchase either of the new Casio models and spend a bit more money over buying a cheap keyboard or used digital piano because if you plan to own the piano for awhile and want to grow into it instead of out of it. You might as well be ahead of the curve in terms of technology and getting much closer to replicating the piano tone & key action of a real acoustic piano. If that's important to you then I believe getting a the PX150 or PX350 and spending a bit more will worth it in the long run:). Nice review. Hope you update it when you test the 350 in depth. Also, please post a review of the Kawai ES7 when you get the chance. I'm curious to see how it performs. Thank-you for the great review. I'm very anxious to learn more about the PX-350's non-piano sounds. I now gig with the PX-3 which I'm very happy with but, that being said, if the 350 were to feature improved other sounds (including Hammond Organ and Rotary Speaker combinations), I'd be in line for trading up - hands down! Hopefully you'll read and reply to this...since you gig with a PX-3, I'm curious what you use to amplify it. Dedicated keyboard amplifier, or straight through the PA? Thanks for the detailed reviews! I really like the PX-130 because it is so portable, but also attached to the cabinet and pedal block feels and sounds pretty authentic. Excited to try out the PX-150. Of course, digital pianos will never perfectly replicate acoustics, but Casio is doing a really good job with their digital technology on these models I think. Does this mean that the PX-3 will be replaced by another "stage piano" with sounds (and electronic guts) similar to the PX-350, but keeping the PX-3's sound-editing features and EQ? Does this mean that the PX-3 will be replaced by another "stage piano" with sounds and guts similar to the PX-350, but keeping the PX-3's sound-editing features and EQ ? PS -- Thank you for the "heads-up". My wife says I can't replace my Kord X5D right now -- the PX-350 is a good reason to wait for a few months. I have played the P105 and not only does it feel (play) exactly like the older P95 GHS action, Yamaha also lists the key action on their web site as GHS in the new P105. Is Yamaha mistaken about their own product? I have played all the GH key actions in Yamaha digital pianos and the P105 isn't one of them. Tim, you're right. The new Yamaha p105 hasn't the GH action keys, but only the same GHS keys that we found in the P95 model... You prefer the new Privia PX150 Keys? I'm very interesting to buy some of these 2 models in december. 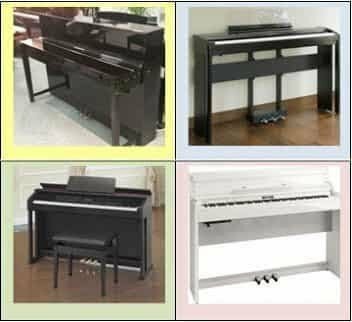 If you want to know more about these pianos and how to get best prices, please email me direct at my email address on this blog. Thank you. Thank you for this review and this site in general! I will be spending lots of time here over the next few months. My husband and I are poor college students who have survived two years of marriage without a piano but have scrimped enough to get ourselves something cheap this Christmas. We both began as piano performance majors and then changed for various reasons, so not having regular access to a piano really has been hard. 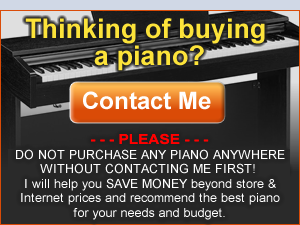 We both have reservations about a keyboard vs. a "real" piano, but beggars can't be choosers, and your site has given me hope that we really could get something decent on our $1000 budget. Thanks so much! I liked your hard work about explaining all this. It is very helpful for the new buyers. Thank You very much. Thank you for the great reviews and information. 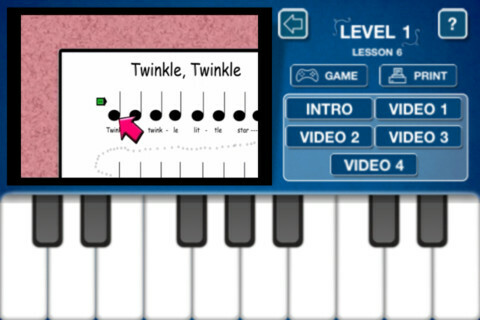 I am looking forward to piano instructions and getting a digital piano. The Casio PX 330 seems like a great option. I'll be checking back in for any updates, videos etc. right, so the px-350 has a better keyboard weighting than the yamaha p-105. im getting a piano and i have a choice between the yamaha p105,casio px-350, or the yamaha ydp-141. inotice thatthe yamaha have a slightly richer sampling sound, because of the bass end of the spectrum. the whole point of getting this piano for me is recording, home practice piano and ocasional concerts. it's got double the polyphony of the ydp 141, and the p-105 has an ever so slightly better section of bass, any recomendations/feedback? Just purchased CASIO PX-350 MBK in Poland. Very good keyboard action. Very good piano sounds (love grand piano modern, grand piano concert samples). Better on headphones than on internal speakers. Nice rhythm patterns. Other sounds not so good, I miss good synth sound but finally it's a digital piano. Overall - very good instrument. I really enjoy it. BTW - AIR seems to generate sound of single note from other sounding notes. So it is simulating 'resonance frame' - quite unique. I don't know if somebody else is doing it. Kawai claims that it carefully records 88 keys samples with different touch level, but I don't think their sound depends on coexistence of other parallel sounds. I just got a PX-350 too. Wicked piano! The "LA Piano" voice is my fave; it's slightly edgier than the Grand Concert voice. Dunno what 'LA' means though, other than the obvious Los Angeles. But what relevance that has to the sound, I dunno. Anyone else know? Is it the way all pianos in L.A. are tuned? Lol. Could you please explain which iPad apps you are showing in this post and whether or not the iPad is connected to the keyboard? I can't seem to work out from the instruction manual whether the recording function of this piano also records the line-in. Ie could you connect a microphone to line-in and record both the piano's audio and the singing? Cheers if you can help. Love the site and your informative reviews. Yes, Nick, the USB audio record function can record and playback both the piano and live microphone vocals separately or together using the 1/4" audio line input for the mic. The mic would need a 1/4" input cable or adapter. The vocals can be heard through the PX350 internal speaker system as well. Hi Tim, Really appreciate the effort put into this review. 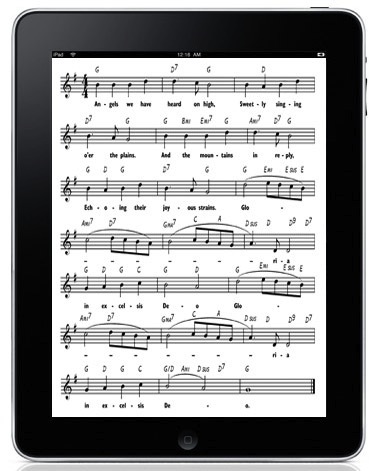 Well, planning to pick up one for my daughter to practice her Piano at home with the option of portability as well. She loves to sing and from your message above, I would like to clarify if she can connect a microphone to this Piano and play/sing and record the sound as well. Thanks in anticipation for your advice. How are the organ sounds in the PX350? I have purchased the 350 and am unable to get a wav file to play on the piano. Anyone here that can help? It says in the manual that it must be no larger than 320 kbytes, which is not big enough for a song. Is this correct and what would a person play with such a small amount of kbytes? I have heard the new Kawai VPC1 has similar action to the MP10, but it is much cheaper because it can not play any sound. It is only a keyboard. You connect it to the computer and a software piano generates the sounds. 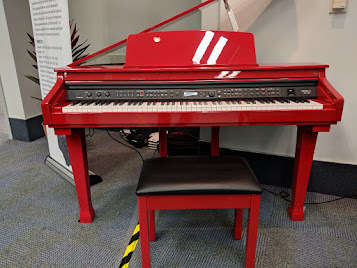 So have you tried Pianoteq (free trial on their website, I think) connected to a digital piano such as Kawai VPC1 or Roland A-88 (same action as FP-4?). What do you think of the sound of Pianoteq or any other software pianos compared to a hardware digitial piano? 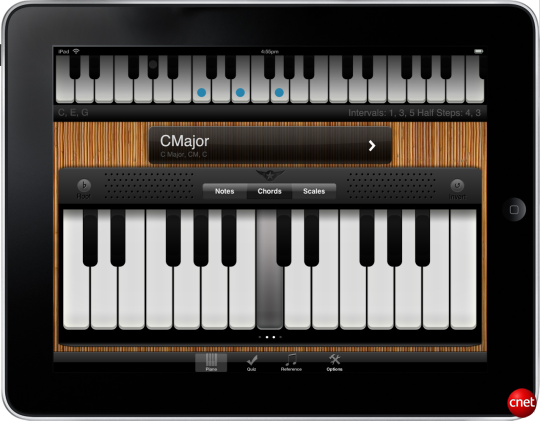 Consensus seems to be that software piano are far superior. I bought the Casio PX 150 and I am really content with the sounds and the feel of the keys, BUT I didn't notice there is no Line Out, only headphone jacks! So I couldn't use it playing with the band. Do you know a solution to this problem? Yeah, get an adapter - TRS 1/4" to dual 1/4" mono. Then you can do that with the other headphone jack for line outs for your monitors. You can use computer speakers as monitors. I compared the speaker sound quality of the headphone jacks to the line outs on my PX-350 and they're just as good IMO. Yes, there are no seperate outputs for external audio. So you need to use the on-board stereo headphone output jack for that although doing so would cut off the internal speakers which does not happen when you use dedicated audio outs. If it were me I would upgrade for slightly more money to the Casio PX350 which does have better connectivity including audio outputs. It's also better in a number of other ways for band use. I owned the Casio PX-330, and after reading such great reviews, I had to move up to the PX-350. I can't believe how good this piano sounds and how great the keys feel. I'm not using the internal speakers however. I listen to the piano either on Sennheiser HD-280 headphones or Logitech Z-2300 speakers with the satellites facing me and resting upon my PX-350 speakers. With the subwoofer in this system, it really rocks! Now it is my understanding (and the manual of the PX-150 confirms this) that the Concert Grand Piano is the only piano that has the string resonance feature. It's my favorite voice anyway. Having tried it with my son (11 years) the Casio PX 850, we found the fine but is that the Casio PX 350 reproduces the same feeling that the 850 keyboard? because the characteristics for the above mentioned simulation "Key off" but not on the 350. The difference is it obvious or trivial (for my son who teaches piano and is in its sixth year)? Ditto for the AP 650 that has the simulation and has more powerful amp. What do you think of these differences? Excuse my English but it is the translator who writes to me. Ayant essayé avec mon fils (11ans) le Casio PX 850, on la trouvé très bien mais est ce que le Casio PX 350 reproduit la même sensation au clavier que le 850 ? car les caractéristiques pour celui ci mentionnent la simulation du "Key off" mais pas sur le 350. La différence est elle flagrante ou négligeable (pour mon fils qui apprend le piano et est à sa 6ème année) ? Idem pour le AP 650 qui dispose de cette simulation et possède des ampli plus puissants. Qu'en pensez vous de ces différences ? Excusez mon anglais mais c'est le traducteur qui écrit pour moi. Thanks a lot for your detailed reviews. I'm trying to decide between PX350 and PX750. With the furniture stand, pedals added in for the PX350, the price differential I found is only around US$110 which is not a decision breaker for me. It seems that the PX350 has a lot more functions while the PX750 has better speakers (?) and a nice cover. I'm buying this for my son who is a beginner piano player, but would want to get a digital piano that can last for a few years. Being portable or not is not a key consideration for me either. Any advice on how to decide between these two assuming price differential is not an issue? Thank you! the PX-780 is more or less the PX-350 with furniture stand (incl. better speakers). If you want the features like 250 voices and 180 accompanies the PX-350 offers over the PX-150/750 you can go for the PX-780. I agree completely on Casio's key feel being better than Yamaha's. I always thought of Casio as a watch making company and didn't believe they could make decent digital pianos in this price range. Which is why I actually went to my local piano store and played the PX-150, P105 (GHS), P155 (GH), and a few different Acoustic Grands for about 2 hours. Each time I went back to PX150 I noticed the realistic key weight & action to an acoustic grand, and Yamaha's keys just felt artificial and light (both GHS and GH). However, even the best digital pianos, hybrids, clavinovas didn't come close to a real acoustic grand in terms of key weight & action. But I believe if you practiced on these new Casios you will be able to adapt to a real acoustic fairly easily. I believe that the PX-350 is able to make use of the Half Pedal Dampner by installing the optional (furniture style) 3 pedal unit (assumed to be SP-33). If you were to use this as a portable unit, this optional extra would be cumbersome to say the least to cart around just so that you can use the Half Pedal Dampner functionality. Are you aware of any other pedal that will enable Half Dampning in a portable situation other than the SP33?!? I am not aware of any single pedals which could be compatible with the Casio PX350 and provide half-pedaling. For more info you may want to contact the piano product specialist at Casio US and ask for his advice. Well I bought the Casio Privia PX350 based on your recommendation, as there was no chance at all of lining it up against the competition from where I am. The onboard speakers do not do justice to the sounds, however headphones help, and I have MAudio monitors that really bring it alive. There is not a lot worth getting exited about amongst the non piano instrument tones though, however I have a Roland Juno D to provide those. The accompliment and drums are good fun and well arranged, the piano key action and sound is as you described and more than good enough for most purposes. First of all, thanks for all the helpful reviews. I was looking at the Casio website in the FAQ section and it said they have a 1 year warranty, not 3. Have they changed their policy since your publishing this review? I have a question... I was debating between the px-150 and the px-350. I was testing both keyboards at the store and although they are both advertised as having the same exact key action, the px-150 felt better (heavier keys). I chose px-150, but I really liked the features of the px-350. any thoughts on this? I even had another costumer try them both and agreed that px-150 had heavier keys. I am so glad to have found your website and articles. I was tempted to buy a used keyboard, leaning towards a Yamaha model. Found deals on new ones and had ordered a DGX-650 when I read through some reviews and suggestions late last night. I canceled that order for a PX-350 w/stand/pedal set. Very excited and waiting to get it this weekend. Thank you so much for your candid, honest reviews and detailed info. After reading through all the advice on this site I went into various music shops in Brisbane to test a range of digital pianos under $1000. I mainly play classical music and do a lot of technique work so was looking for a robust instrument with good piano sounds. I found a shop selling Casio Privias and played them. I was very impressed by the keyboard sound and action of the Privia which was superior to higher-priced Yamaha instruments that I also tested. I was surprised because I used to prefer Yamaha's to anything else, and Casios had a reputation for being 'toys'. I have since bought a Casio Privia PX-150 as I need to transport it in my car every week to my partner's house, some distance away, so I can practice it there. I've had it for over a year now and it is holding up well, although the flimsy stand I bought with it must be replaced with something more sturdy. Thanks Tim for providing this resource of information and reviews as it saved me time and money and by narrowing my search and avoiding being ripped-off by salesmen in shops. Can you say which store in Brisbane, please? Hi. I have a question on the PX-150 I hope you can answer. I know this has a USB-MIDI port and can be connected to a laptop... so I was just wondering.. could I play music on the piano speakers through the laptop? This would, in a way, make up for the lack of a line in port, right? 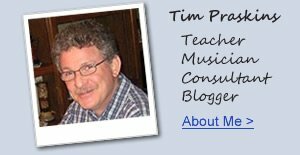 Thank Tim for your great reviews. I would like to ask if we use external speakers instead of the internal ones will the 4 models (150, 350, 750 and 780) produce the same sound ? And whether they have the same sound source ? I do some search but it seems that each model have difference source. An important point is that they have same Maximum Polyphony at 128. Which sounds great.